Andrus & Vitt, Sphagnoth. Bor.-Amer. 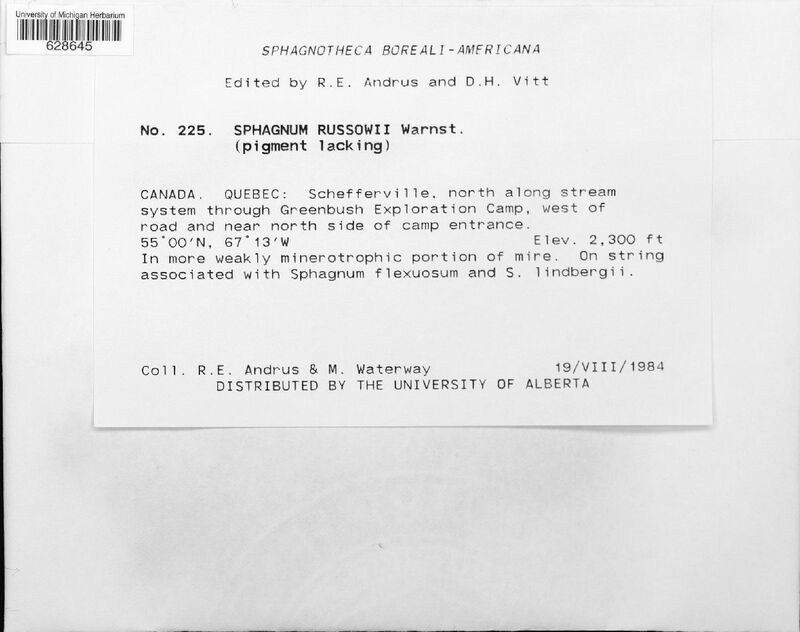 Canada, Quebec, Schefferville, north along stream system through Greenbush Exploration Camp, west of road and near north side of camp entrance. 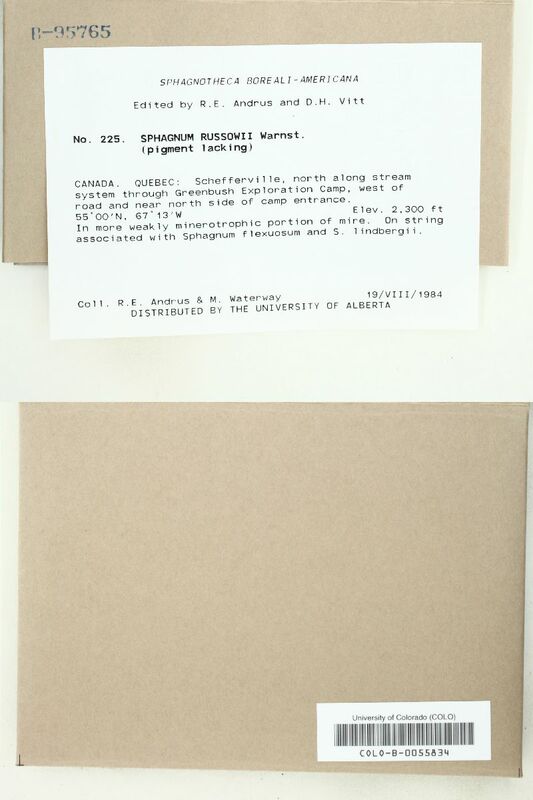 Canada, Quebec, Schefferville, north along stream, system through Greenbush Exploration Camp, west of road and near north side of camp entrance.